Yarn: Cascade Ecological Wool, bought 3 skeins and has 1 skein + 49 grams left. 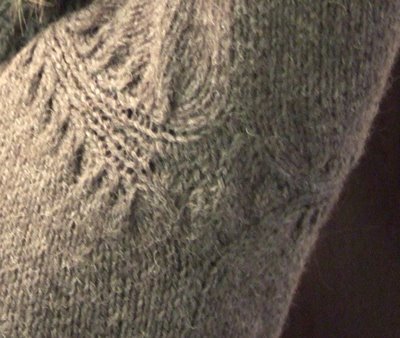 Details: I used size 8 rather than 10 needles because I think the material looks better, but the sweater is a little tight. There are some pattern problems, but they were easily overcome. I added 2.5" to the sleeves and added a gusset to the armpit. The decreases pull the armpit in tighter than it should. 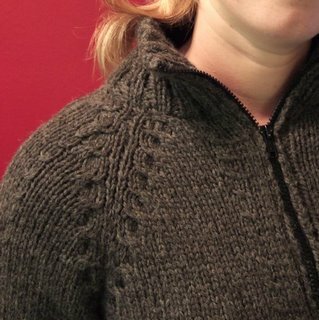 Otherwise - this is a nice looking basic sweater.